Earlier this summer we talked about Michael McKinley's highly acclaimed first novel The Penalty Killing. The novel has a definite hockey theme, as the protagonist is a former hockey player framed for murder who goes about solving his own mystery. The book transcends hockey into the world of fiction and pop culture, which is woefully (and strangely) overdue. Today we are going to look at another book just along those lines. 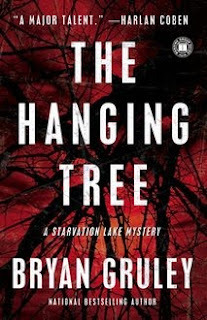 It is called The Hanging Tree, written by author Bryan Gruley and released by Touchstone in August, 2010. 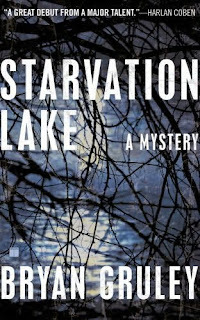 This mystery novel is set in the small, fictional town of Starvation Lake, MI, where the winters are cold and hockey is a way of life. Gruley brilliantly captures the hockey culture and interweaves it throughout the story. This novel is one of the best novels I've ever read. I truly believe this should be made into a motion picture. 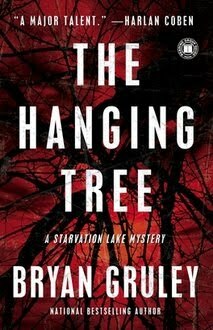 For more information (and to see one of the coolest book websites I've ever seen), check out TheHangingTree.com. Also, you want to check out A Conversation With Bryan Gruley on the publisher's website. The novel is actually the Gruley's second. 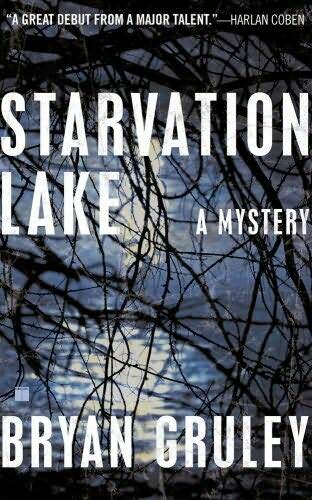 His first, Starvation Lake, also hockey-themed, earned Gruley an Edgar Award nomination for Best First Novel. It was a critically acclaimed masterpiece that has now been spun off into a series mystery-thrillers. If Bryan Gruley is a familiar name for some it is because he is the Chicago bureau chief of The Wall Street Journal where he shared in that paper's Pulitzer Prize coverage of the 9/11 terrorist attacks. Pretty heavy stuff, but it turns out Gruley is an avid hockey player and fan, and very much wanted to include hockey in his adventure into novelling. Be sure to check out the author's website, BryanGruley.com.You will also want to check out A Conversation With Bryan Gruley on the publisher's website. “The Hanging Tree is an engrossing, sure-footed mystery that manages to be both suspenseful and deeply touching.” —Gillian Flynn, Edgar nominee and New York Times Bestselling Author.